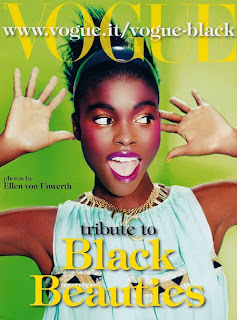 I always look forward to the black beauties vogue issue, why? IDK, its like they shove all the black people into one issue just so they can acknowledge them one time. YOUTUBE video comming soon, a haul post and my life story updates, OMG I'm so cray-cray. What did i do to the universe? It loves to play with me. I love it! I always like there Black Beauty Issue! i just love it!!! They look gorgeous and i'm loving the natural theme with a lot of the hair!!! Wow, I hadn't thought about that until you mentioned it. Treacle (The Lingerie Addict) had asked in one of her posts why there weren't more black lingerie models being seen on the runways. You're right. 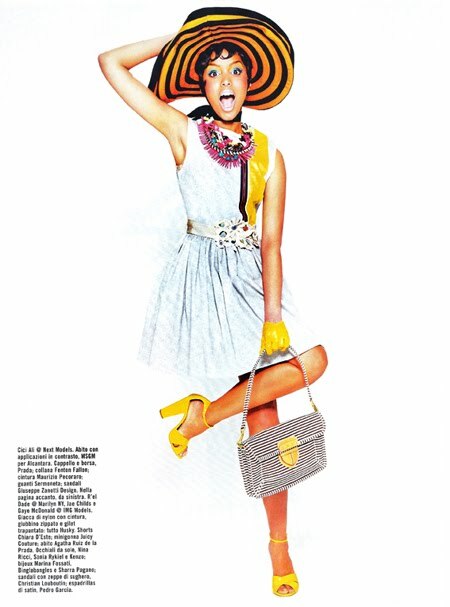 The May 2011 Issue of Vogue Italia is beautiful..
Gorgeous photos and models!!!! United colours of FASHION!!!! !